Phenylalanine is an essential amino acid and safe for everyone except those who have a condition called phenylketonuria, or PKU. This amino acid, combined with another amino acid called aspartic acid, forms the artificial sweetener aspartame. While the U.S. Food and Drug Administration has classified aspartame as safe up to a certain level, some people have reported side effects after consuming it. Even the people who eat the most artificially sweetened foods and beverages are unlikely to reach the acceptable daily intake level set by the FDA, according to an article published in the "British Medical Journal" in 2004. This would mean drinking at least 10 sodas sweetened entirely with aspartame, and most foods are sweetened with a mix of sweeteners. The study authors note that even the people who get the most aspartame in their diets rarely get more than 10 milligrams of aspartame per kilogram of body weight per day, and the acceptable daily intake is 40 milligrams per kilogram. 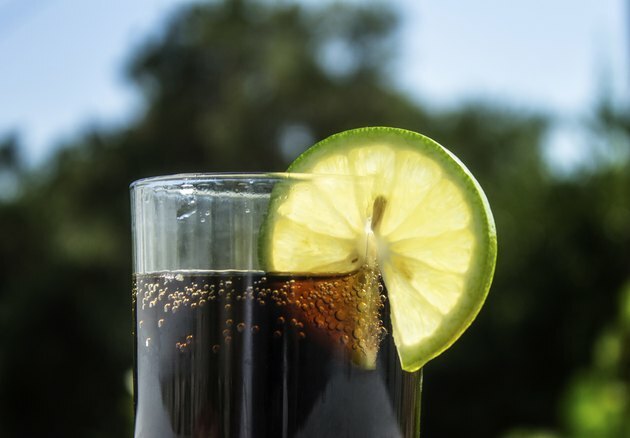 The Center for Science in the Public Interest notes that people may want to avoid aspartame as some studies have shown it increases cancer in rats and can cause side effects such as headaches in people. Other side effects sometimes linked with consuming aspartame include digestive issues, dizziness, changes in mood or seizures. However, the American Cancer Society notes that studies haven't consistently linked aspartame to any of these side effects or to more serious medical conditions, including cancer. If you have PKU, avoid consuming aspartame or foods containing phenylalanine to minimize the effects of this condition. Symptoms can include seizures, tremors, hyperactivity, jerking movements, smaller than normal head size in infants, delayed mental and social skills, and skin rashes. Your body may develop a musty smell if you eat foods containing phenylalanine, notes MedlinePlus. Eating foods sweetened with artificial sweeteners, such as aspartame, may help you cut calories, but you won't necessarily lose weight. Some studies even show that people using these sweeteners gain weight, according to an article published in the "Yale Journal of Biology and Medicine" in 2010. Multiple theories exist for why this might be, including people overcompensating for saved calories. Another theory is that the brain doesn't respond the same way to artificial sweeteners as to sugar, so instead of being satisfied by the sweet taste, people search out other foods to get the rewards they would usually get after eating sweets and end up consuming too many calories. Should you find that you experience adverse effects after eating foods that contain aspartame, simply avoid eating these foods, recommends the Center for Science in the Public Interest. Unless you have PKU, don't avoid phenylalanine because it is an essential amino acid you need to stay healthy. Those with PKU, however, should avoid any food with this substance because it can cause the development of severe intellectual disabilities, according to MedlinePlus.